A time where family and friends gather to remember the abundance of blessings bestowed upon them during the year. A time where a harvest of food and lighthearted fun is shared around a table. Where memories are made and the holiday season begins. With all the focus on food, family, activities and Pinterest perfect tables, how much of Jesus do you put your focus on during the season of Thanksgiving? Every person shares what they are “thankful for” from the past year. We began this at the very first Thanksgiving we hosted in our home. Our children were young and they grew up knowing that if there was only one time and one time only, it was at the Thanksgiving table we shared our grateful hearts with one another. Beginning November 1st, our family would leave a Thankful Jar in the middle of the table and every time we were thankful for something during the month, we would write it on a slip of paper and place it in the jar. These would be shared during dessert on Thanksgiving Day. We enjoyed trying to guess who wrote each one. A Thankful Tree was made out of items found on a nature walk and we would post what we were thankful for Thanksgiving morning on colored leaves. We would then hang the leaves on the tree branches to be shared after our meal. Even our guests for dinner would participate. 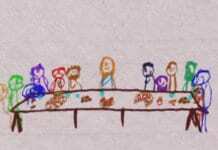 When the children were older, each child had to find bible verses representing thankfulness and write them down on place cards to set at each person’s table setting. They could be as creative as they wanted decorating their cards. It was always a joy to see what verses they chose and see their creativity in action. These were a few ways we taught our children the importance of making much of Jesus during the Thanksgiving season. It also served as a testimony to extended family and friends who otherwise thought of Thanksgiving Day as just another day. It gave the holiday purpose. What about when Thanksgiving Day is over? Does Jesus and the spirit of thanksgiving remain in your heart? Do you continue to make much of Him as you prepare for Christmas and beyond? Or is He only there once a year at the Thanksgiving table? The spirit of Thanksgiving and making much of Jesus needs to be in our thoughts and hearts every single day. Giving thanks for not only the big moments in our lives or the answered prayers we spent so much time praying over, but in all the little, insignificant moments that make up our days. Making much of Jesus when we are preparing dinner and giving thanks for the modern conveniences of cooking a meal. Making much of Jesus when we are taking a warm shower, giving Him thanks for running water. Making much of Jesus when our car breaks down and being thankful we have a cell phone to call for help. Making much of Jesus as we tuck our little ones in at night, thanking Him for the gift of children, when many suffer from infertility. 1. Keep a Thankful Journal. Write down what you are thankful for everyday, giving Jesus the glory. When you are having a complaining, grumpy day, find one person who you can show a little appreciation to. It can be with a kind word or deed. Offer yourself up to bless other people. Give a gift or make a card for someone who is going through a rough time. Collect items for a food shelf, or donate gently used toys to a shelter. There is so much need in the world. Even a couple hours a week can make a difference in a life. Make much of Jesus by giving of your time. 5. Thank God Before You Sleep. 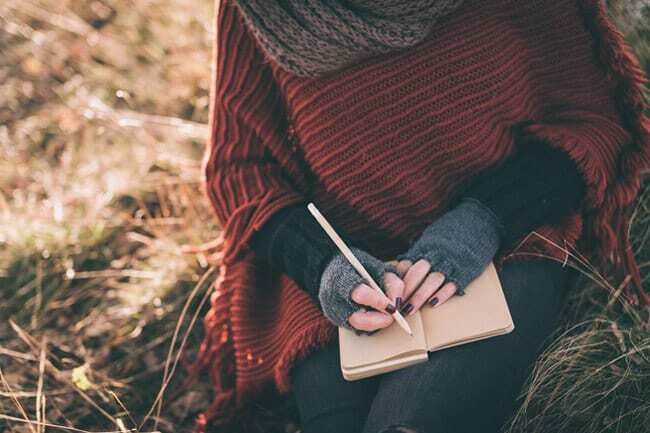 If keeping a thankful journal is not your thing, at least thank God every night before you lay your head down to sleep for three things you are thankful for from your day. He hears every one of them. It turns what we have into enough, and more…. and mistakes into important events. As we gather together this Thanksgiving, let us make much of Jesus in both our heart and our spirit and be the blessed testimony to those He puts in our path. This post originally appeared at MelanieRedd.com.